Overseas demand helped deliver the biggest February for UK car production in 17 years. Overseas demand helped deliver the biggest February for UK car production in 17 years, the Society of Motor Manufacturers and Traders (SMMT) reports. New figures show that production rose 8.0% year-on-year to 153,041 units in February. Output was driven by overseas demand, with exports up 13.4% to 118,898 units, offsetting falling home production, which was down -7.4%. Year-to-date production was over 300,000 units for the first time since 2002. Growth was again driven by exports of UK-made cars, which grew 12.1%, with 236,834 units shipped abroad, offsetting a decline in domestic demand of -5.6% to 64,170 units. Mike Hawes, SMMT chief executive, said the figures illustrate the export-led nature of the industry and continued to highlight the risks of potential tariffs for UK firms following Brexit. “With eight out of every 10 cars we produce destined for international markets – and half of those for customers in the EU – we must avoid barriers to trade at all costs. To do otherwise would damage our competitiveness and threaten the continued success of UK automotive manufacturing,” he commented. According to the results of a recent Autoglass survey, there are severe gaps in fleet knowledge of Advanced Driver Assistance Systems (ADAS). A survey of 250 fleet managers found that 34% of vehicles have some ADAS-enabled safety features, such as autonomous emergency braking and lane deviation warnings. However, 20% of ADAS-enabled car fleets and 15% of van fleets admitted that they do not include ADAS calibration as part of vehicle checks. This is despite findings that if a camera in an ADAS system is misaligned by as little as one degree, the technology can falter. 27% of fleet managers acknowledged a lack of awareness about how the technology works. While 16% said their drivers regularly switch off ADAS-enabled features. UK drivers increasingly expect advanced safety technology in vehicles as standard. According to the results of a global survey conducted by Deloitte, UK drivers increasingly expect advanced safety technology in vehicles as standard. Vehicle technologies that recognise objects on the road, avoid collisions, inform the driver of dangerous driving situations and take steps in medical emergencies were most popular. 59% of drivers questioned were interested in advanced automation technology such as adaptive cruise control or lane-keeping technology, up from 51% in 2014. However, they increasingly expect such technology as standard. On average, consumers said they were willing to spend up to £375 for advanced technologies, down from £677 in the 2014 survey. 68% of respondents said they would readily share their personal information with manufacturers in return for significant benefits. This was despite 63% of drivers expressing concern over car hacking of connected vehicles. 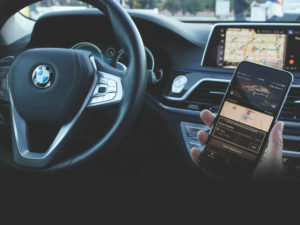 These concerns were backed up by a new study carried out by Satrak Plant Security, which found that 59% of the public believe vehicle hacking will soon be a problem for connected vehicles, with 15% saying they were “very worried” about the issue.